The Board of Gumala Enterprises Pty Ltd (GEPL) recently appointed a highly experienced resources and energy sector professional to drive the Indigenous business forward. Tim Larkin has taken on the role of chief executive officer with a clear mandate to diversify the company and take financial, partnership and operational performance across the enterprise to new levels. His appointment is a strategic move towards a more commercially astute and sustainable business model following the Board’s comprehensive review of GEPL, its capabilities and new opportunities in the Western Australia marketplace. Larkin brings more than 35 years’ experience in the resources and energy sector to the position following project development and operational management roles with leading companies including BHP, United Group, Leighton Contractors and Laing O’Rourke. GEPL chairperson, Darren Injie, said Larkin’s appointment reflects the Board’s commitment to strengthening GEPL’s capabilities with an emphasis on quality service and project outcomes. “Larkin has significant experience in winning and executing projects and will play an integral part in evolving our business offering and ensuring a sustained level of stability as we move forward,” Injie said. Larkin said the State’s renewed economic outlook and the GEPL Board’s dynamic vision for the business meant GEPL was well placed to evolve as a stronger, smarter and hungrier business over the coming months. 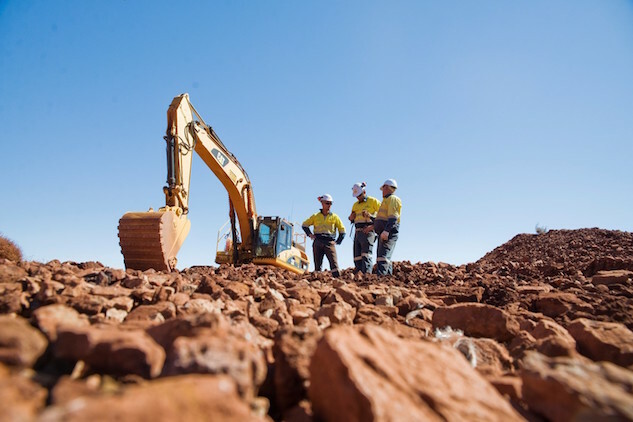 “We have a wealth of civil and mining contracting experience and a solid track record in hospitality and tourism with our highly successful Karijini Eco Retreat, so there is significant potential for us to expand and grow our footprint across these industry sectors,” he said.